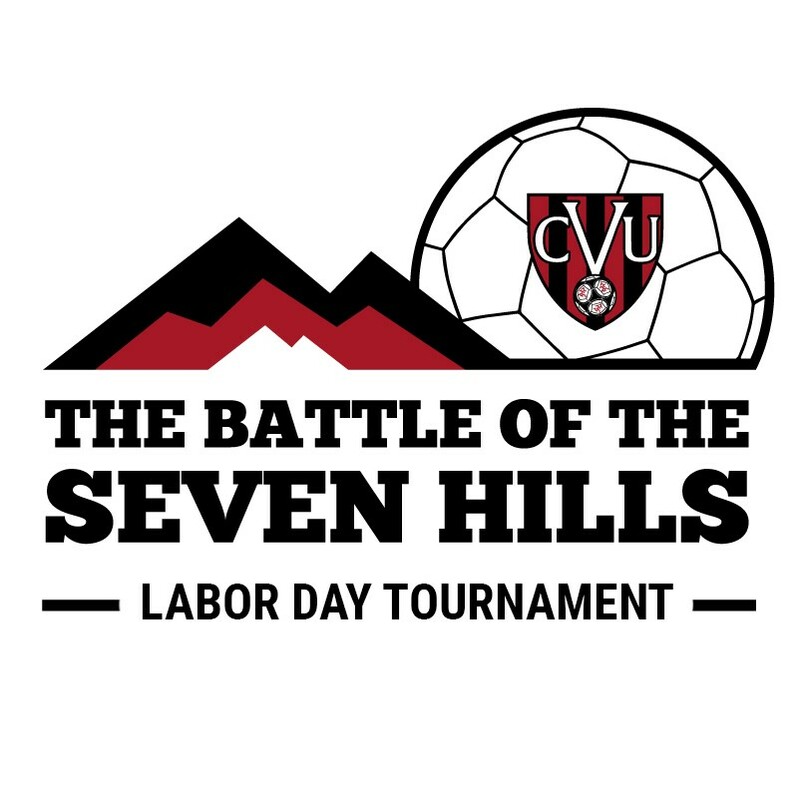 The Battle of the 7 Hills is a great Labor Day destination for Elite, Premier and Classic travel level competition in the state of Virginia and the Mid-Atlantic Region. Central Virginia United offers top-level facilities, organization and officials, all within the beautiful foothills of the Blue Ridge Mountains. Please come and jon us for what promises to be a great event to start the fall season! When: Labor Day Weekend - August 31st till September 1st 2019. Where: CVU Soccer Complex HQ, 5635 Campbell Highway, Lynchburg, VA 24501.
Who: U10-U19 Travel teams. Boys and girls. Elite level to Classic. After 8th July U10 ($575), U11-U12 ($600), U13-U14 ($625), U15-U16 ($650) & U17-U19 ($700). Registration Deadline: August 5th, 2019. Club Friendly Scheduling: Tournament Schedule will work to accommodate coaches with 2 or more teams as much as possible. Club Discounts: Clubs with ten teams or more maybe eligible for bulk registration discounts. Central Virginia United (CVU) and The Soccer Organization of Challottesville Area (SOCA) are committed to providing an excpetional preseason tournament for Elite, Premier, and Classic level soccer competition. The 2018 Blue Ridge Cup Labor Day Tournament is bringing together competition from across Virginia and the mid-Atlantic while providing excellent facilities, organization and officials. The 2018 Blue Ridge Cup is the perfect way to begin your fall season. U11-U19 Girls - Main Soccer Complex 5635 Campbell Highway, Lynchburg, VA, 24501. BookMyGroup is the official accommodations provider for the Blue Ridge Cup! Please click on this link https://reserve.bookmygroup.com/tournaments/tournament_details/10720 to see available housing options. Should you require accommodations, please click on the link above or look for an email from BookMyGroup, which will include a booking link. This link will allow you to block your number of required rooms at one of our many hotel options for the tournament.